Pump jacks pump oil at an oil field on the shores of the Caspian Sea in Baku, Azerbaijan, October 5, 2017. Picture taken October 5, 2017. SINGAPORE - Oil prices edged up on Monday, after a 2 percent slide on Friday, on expectations that Saudi Arabia would continue to restrain its output in order to support prices, and as the amount of rigs drilling for new oil in the United States dipped. Oil ports, producers and refiners in Louisiana, Mississippi and Alabama, which shut facilities ahead of Hurricane Nate, were planning to reopen on Monday as the storm moved inland, away from most energy infrastructure on the U.S. Gulf Coast. U.S. West Texas Intermediate (WTI) front-month crude futures were trading at $49.48 per barrel at 0436 GMT, up 19 cents, or 0.4 percent, from their last close. Brent crude futures, the international benchmark for oil prices, were up 16 cents, or 0.3 percent, at $55.78 a barrel. Oil tumbled by around 2 percent on Friday, with WTI dipping back below $50 per barrel, as concerns of overproduction re-surfaced. “We remain fairly confident that the Saudi’s will look to continue to support the oil market, especially until the sale of Aramco,” said Shane Channel, equity and derivatives adviser at ASR Wealth Advisers. State-owned oil giant Saudi Aramco is planning to float around 5 percent of the firm in an initial public offering next year. A reported cut in the number of U.S. oil rigs drilling for new production provided some price support. The oil rig count fell by two to 748 in the week to Oct 6, General Electric Co’s Baker Hughes energy services firm said in its closely followed report on Friday. Trading activity was low on Monday due to the Columbus Day federal holiday in the United States though markets are open. As a sign of the more positive sentiment in the market, hedge funds and money managers raised their bullish bets on U.S. crude futures for the third week in a row, the U.S. Commodity Futures Trading Commission reported on Friday. The speculator group raised its combined futures and options position in WTI on the NYMEX and ICE markets by 3,211 contracts to 288,766 in the week to Oct. 3, its highest since mid-August, the data showed. 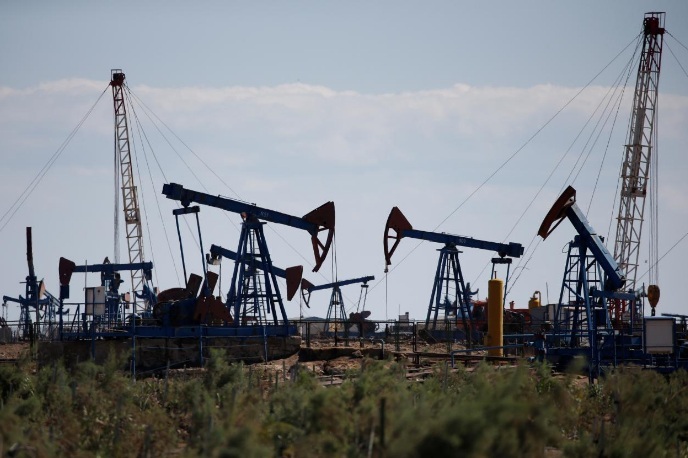 Oil prices edged up on Monday, after a 2 percent slide on Friday, on expectations that Saudi Arabia would continue to restrain its output in order to support prices, and as the amount of rigs drilling for new oil in the United States dipped.